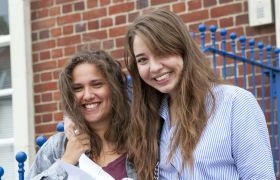 Many students are attracted to the College by the informal and friendly atmosphere together with the high standards of teaching, small classes and excellent exam results. 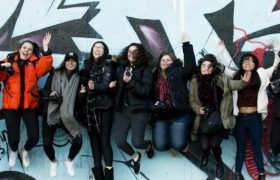 They may feel the need for a change from their school environment and want to take a step towards greater independence in a less formal setting, but one which still offers a high level of academic discipline and individual care. The teachers are approachable and encouraging, often a critical factor in helping students achieve their academic goals. Generally, students initially follow four subjects in the first year. 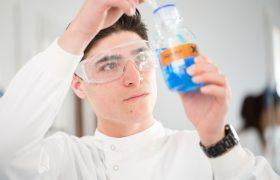 This allows for both a broader curriculum and a degree of experimentation with a fourth subject before students commit themselves to three A level subjects. We are especially concerned to ensure that students choose their subjects carefully, with respect to their individual strengths and their aims for higher education and future career. 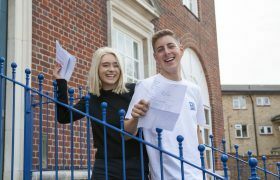 In the first year particular emphasis is placed on strengthening the foundations of the subjects and so easing the difficult transition from GCSE to A level. In addition, we develop students’ study skills in areas such as planning and time management, which are so important for their success at A level. Close attention is paid to choosing the right degree course at university and ensuring that the UCAS application is well researched and carefully completed. Our university and careers programme begins in the spring term. A weekly Medical Forum is of great benefit to students applying for medical related degrees. We also provide a stimulating extracurricular programme. This includes a range of charity fundraising activities, a debating society, football and other sports, a student council, frequent visits to theatres, art galleries and exhibitions, first aid training, art and photography clubs and a variety of visiting speakers as part of our Inspire Programme.